Oh, you don't think that giant window is very private? I guess we have different definitions. Thanks, Julie. lol, that's a pretty creepy effect. 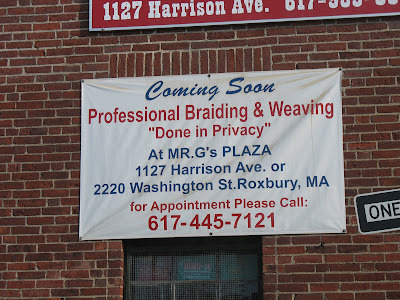 Are they braiding or weaving hair that shouldn't be seen in public? Done in front of a two-way mirror.